cars that are used as taxis. Taxis can often be found waiting outside the security fences at Crown Bay and Havensight. 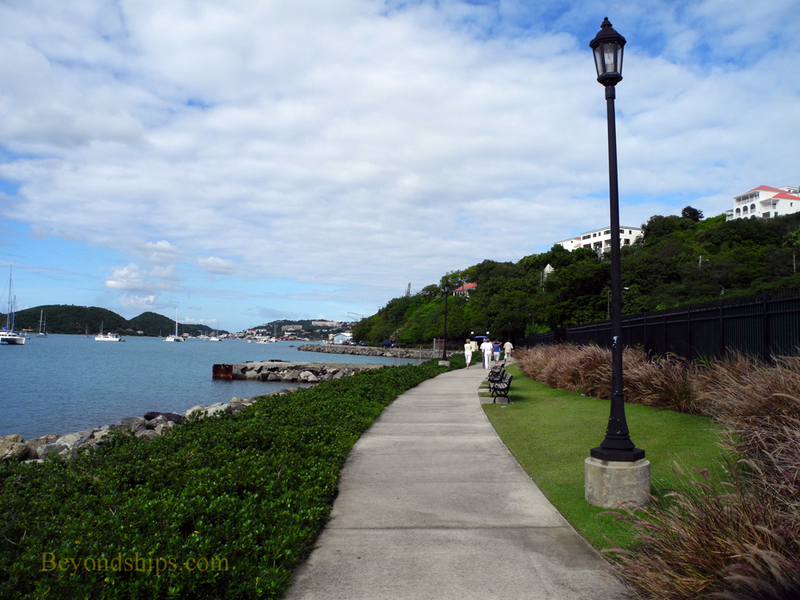 In Charlotte Amalie, they are often in the Emancipation Garden area. a car in the mainland United States. both driving (and riding) can be challenging. trying to return to the cruise ships before the ships depart. 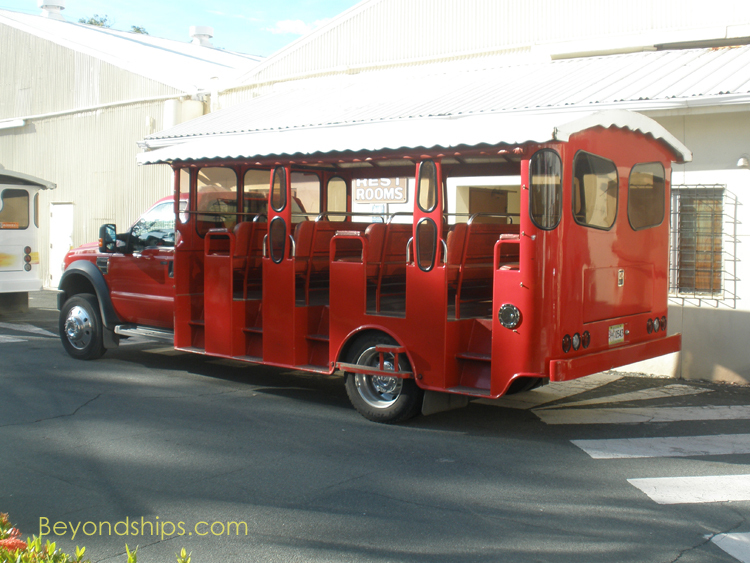 ​Shore excursions usually use safari trucks as the mode of transportation. At both Crown Bay and Havensight, the excursions usually meet the transportation in the parking areas just beyond the security fence. pleasant walk on a sunny day. (See article). There is no similar walkway between Crown Bay and Downtown. Indeed, at some points, there is no sidewalk. the terrain starts to slope upward into steep hills. In addition, the sidewalks there are narrow and sometimes nonexistent. As always, care should be exercised when going out of the tourist areas.